Five people were killed in a school shooting in the northern Saskatchewan community of La Loche, Canadian Prime Minister Justin Trudeau said late Friday. A suspect is reported to be in custody. Multiple victims are reported to be injured. "Obviously this is every parent's worst nightmare," Trudeau said in a brief statement from Davos, Switzerland. The shooting took place in the largely indigenous community of La Loche, population 3,000 or so, at The La Loche Community School, which serves grades 7 to 12. "I ran outside the school," Noel Desjarlais, a Grade 10 student at the school, told CBC News. "There was lots of screaming. There was about six, seven shots before I got outside. I believe there was more shots by the time I did get out." A Facebook post on the school's page described an emergency occurring at the Dene Building of the school. No one is being allowed in or out until further notice is given by the RCMP, according to the post. Acting Mayor Kevin Janvier said RCMP confirmed to him that one person was in custody but he did not know anything about the suspect. According to The Canadian Press, the community’s fire chief said a boy with a gun was in custody. CP also reported that a government source confirmed two deaths. According to Janvier, several people were also taken to hospital. 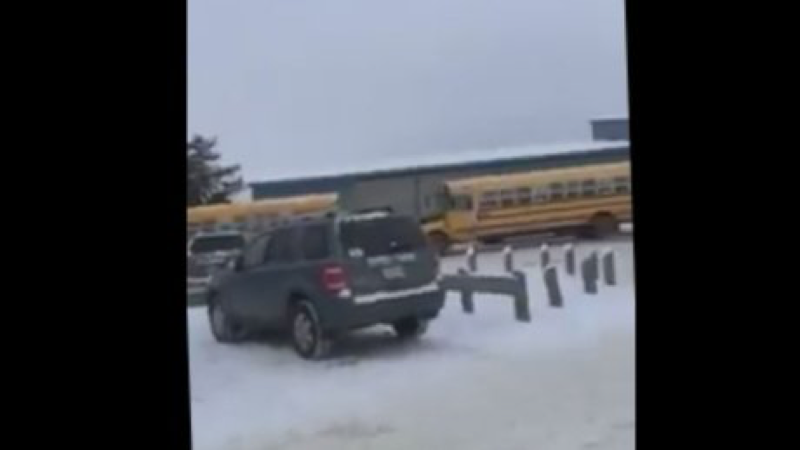 #Saskatchewan Premier #BradWall confirms 'shootings' at school in #LaLoche. Offers full support of province, all necessary resources.